A caretaker in Augusta, Georgia has been charged with felony exploitation for the financial elder abuse of a 96-year-old woman with dementia, amounting to $22,000. The victim was a Georgia nursing home resident, according to Georgia State Attorney General Samuel Olens. The suspect, Patsy Sheppard, was indicted with the financial elder abuse charge on Tuesday, December 9th. Sheppard served as the victim’s caretaker at the nursing home, according to the indictment. Sheppard, who held power of attorney, abused her power, transfering money out of the resident’s bank account and into her own bank account. She also opened joint bank accounts that gave her access to the resident’s funds, and made large in-person withdrawals at ATMs, sometimes multiple times per day. An employee at First Community Bank in Augusta noticed when Sheppard brought a different victim in to set up yet another bank account, that the victim did not appear to be coherent, or to recognize Sheppard. The bank denied Sheppard’s request to open another joint bank account, and the potential victim’s family was notified about the suspicious activity. The financial elder abuse was investigated by the Georgia Medicaid Fraud Control Unit, in cooperation with the Georgia Department of Community Health and the Georgia Department of Human Services’ Adult Protective Services. The investigation led to the discovery of the 96-year-old victim and the missing $22,000. Felony financial elder abuse charges are punishable in Georgia with up to 20 years in prison and a fine of $50,000. Attempted exploitation could land the suspect in prison for 10 years, and a fine of $25,000. 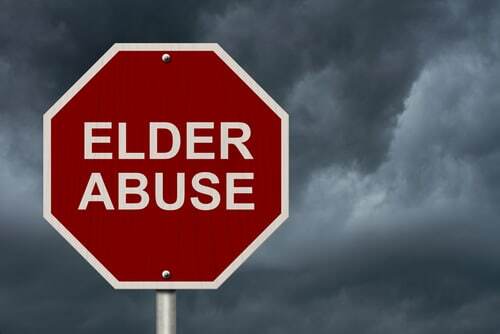 A new study from the Journal of General Internal Medicine shows that financial elder abuse is the fastest growing crime in the United States. According to Adult Protective Services, 60% of their cases involve theft of money or property from an elderly person. Many states define exploitation as the wrongful use of an older person’s resources for another person’s profit or advantage. State laws use various terms to denote the wrongful nature of the act, such as “illegal,” “improper,” “unjust,” and “without legal entitlement.” Some definitions refer simply to the misuse of the person’s funds, property or person. Some states specify that, to qualify as exploitation, the resources must have been obtained without the older person’s consent, or obtained through undue influence, duress, deception or false pretenses. conning nursing home residents into purchasing a fraudulent service or product. Financial exploitation might not endanger an older person’s health or safety, but it results in the loss of the person’s estate and self-esteem.